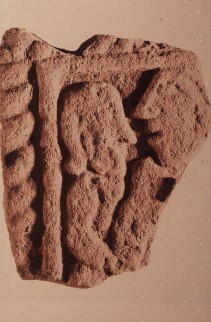 Fragment of base or shaft of cross, which is decorated. The Royal Commission on Ancient and Historical Monuments of Scotland. Roxburghshire 1st, HMSO, Edinburgh (1982) High Cross, Archaeology, Scotland, Roxburghshire.